In the past, long kameez worn by Indian Muslim and Punjabi women and sari was the traditional dress of Hindu women pairing it with the top called choli/blouse. Rajasthani women wore long choli up to waist size, women of other casts like banzara and vaghri wore long blouse which covers stomach (somewhat look like ladies jacket) and that led to the way for the design of a shorter version of kameez. After that short length kameez came in to act and it became the part of ladies wear. Retro Indian girls used to wear it with a long skirt in olden days. The shorter form of kameez referred to as Kurti in Indian fashion is specially designed for women and girls which are the basic difference of kurti and kurtas. The Kurta can be worn by both men and women but short kurtis are only designed to wear for women and today the kurtis have gone viral in the modern women fashion world. Every kurti stitched with same fundamental but by adding different neck pattern. 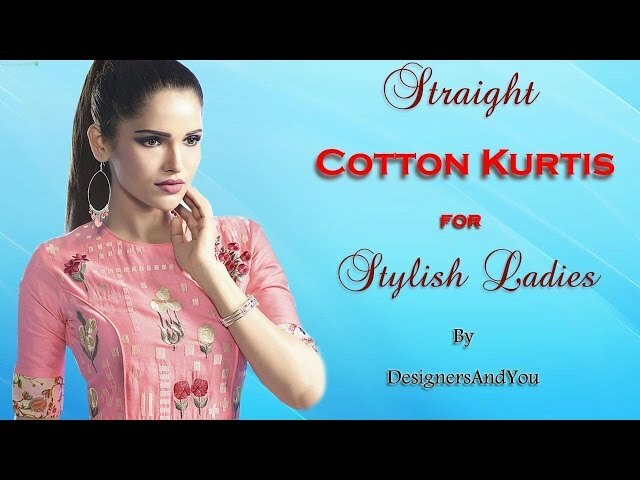 Fabrics and sleeves make it trendy and that’s what our designers are doing in kurtis fashion. Kurtis offered with various traditional embroidery in different parts of India is in high demand. Even kurti has been fashioned with a different kind of printing and mirror work. These type of dying technique is done with help of Maddar’s root and Longwood trees to make the short silk and cotton kurta. The Insect name cocas are used to make such short kurtis. It is made using wools and silk to give red and orange color. Various minerals dye is used to make such kurtis, for example- iron buff. To give colorful effect on short kurtis different printings are used. This printing is exactly same as stamp printing on a piece of paper here we use a wooden block with various design uniformly press on different fabrics and after that this type of short kurti finishes in the last form. These designs look good but not as perfect as machine printing and also a time-consuming process. This printing is done with cardboard or metal block, First, the design cut on card board or metal and after that the color applied on it and that block press on fabrics to get the required design, again this printing style is also time-consuming. The designs are made on wooden screen with hand and then applied on silk to give it a final touch. This method is done with automatic machine nowadays. This design is done on both sides of fabrics to get in the last form and very popular design in a casual short kurta. Discharge printing of short kurtis: This special design is applied on dark color short kurtis. In this method, a fabric is first dyed and then discharge paste which contains chemical helps to remove color for a white background is applied. Resist printing of short kurtis: This design is totally opposite of discharge printing which adds the different color effect on short kurtis. In recent days kurtis made with many types of machine printing work like Pigment, photo, transfer, flock and much more. Moreover, the traditional embroidery work, glass work, zardozi work also have been applied on short kurtis to attract young girls. If you are a modern girl and like wear short top designs on pant, you will like our collection.